American Muslim Mum has been re-launched with a massive make-over by Sister Ponn Sabra. The current site has numerous giveaways and competition prizes for visitors, so it is worth heading over for a visit to find out how you can visit. Sister Ponn has been busy herself, encouraging her children to succeed at their education. At the age of 6, 8 and 9, all Sabra’s girls were accepted to Stanford University's Education Program for Gifted Youth, testing into gifted classes and grade levels which far exceeded the standard for their age. By nine years old, Sabra's oldest had skipped most of high-school, tested into AP Physics and Honors Algebra 2, and was an award-winning inventor. However, unlike some mothers, she didn't force her children into those classes just to have impressive material on their transcripts. Having already been published in magazines, featured on other blogs, and aiding in search engine optimization as they helped relaunch American Muslim Mom, through YouTube video production, blog publicity campaigns, and publishing content; the three Sabra have also launched their KidBloggerClub.com business, thanks to the support and encouragement of their mother. You can find free information on balancing a multifaceted parenthood from her recently available eBook, “Balancing Life as a Muslim Mom”, available at American Muslim Mom, where she also publishes her advice on being an active social-media mom, maintain a green and financially smart lifestyle, and more. 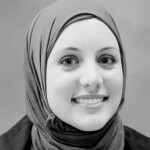 AmericanMuslimMom.com is a diverse online community which hosts, on average, as many Muslim mothers as non-Muslim motherss in active daily discussions. Ponn Sabra is a highly-prolific public health official-turned-best-selling author, internet marketer, and columnist who has been featured in the Associated Press, Washington Post, Fox, ABC News and other major media outlets. Do head over to American Muslim Mom to see how you can benefit insh'Allah.You can find Sister Ponn's Youtube channel here and her Facebook page here. 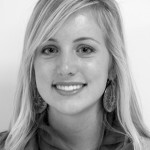 Cassidy Herrington is a columnist in the Kentucky Kernel and last year she decided to find out what it is like to be a Muslim women and "take a walk in their shoes" by wearing the hijab for one month. "Responses to my hijab were subtle or nonexistent. I noticed passing glances diverted to the ground, but overall, everything felt the same. Near the end of the month, a classmate pointed out that a boy had been staring at me, much to my oblivion. The hijab became a part of me, and until I turned my head and felt a gentle tug, I forgot it was there. For the most part, I carried out life as usual while in hijab. I rode my bike and felt the sensation of wind whipping under my headscarf. I walked past storefront windows, caught a glimpse of a foreign reflection and had to frequently remind myself that the girl was me. Hijab became part of my morning routine, and on one morning I biked to class and turned around because I realized I left without it. At the end of the day, I laughed at my “hijab hair” pressed flat against my scalp. The hijab sometimes made me uneasy. I went to the grocery store and felt people dodge me in the aisles — or was that just my imagination? I recognize every exchange I had and every occurrence I report may be an assumption or over analysis because few of my encounters were transparent. The truth is, however, very few of my peers said anything about the hijab. My classmates I’ve sat next to for more than a year, my professors and my friends from high school — no one addressed the obvious, and it hurt. I felt separated from the people who know me best — or so I thought"
You can read the full account of Herrington's experience here. "Marriage has a central place in religion, and Islam is no exception. So, to cover off the religious aspect, here is what Islam says: that marriage is a divine sign in order that the spouses may find peace and contentment in each other, and that love and mercy has been placed between them. In its essence, marriage is for the benefit of the two people involved, creating a tranquil and loving union. But it's more than that too: to get married is to complete "half your faith", it is part of fulfilling the human mandate and achieving spiritual perfection. And only then do we get to procreation as the reason for marriage. Islam is big on clear, solid family structure, and children knowing and respecting who their parents are. And it's also very firm on parents taking clear responsibility for the upbringing and long-term care of their children." The Inner-City Muslim Action Network (IMAN) is a community-based nonprofit that works for social justice, delivering a range of social services, and aiming to cultivate the arts in urban communities. The network was formed in 1995 by Muslim students, community residents and leaders responding to inner-city poverty . IMAN sought to create a community organization driven by the spiritual ideals of community service, social justice and human compassion. A diverse network of students, residents and various institutions throughout the Chicago area has joined IMAN in working to develop a full-fledged community organization that seeks to embody the principles of these ideals. Through direct services, IMAN provides key and often essential services that range from career development to medical attention. These services are facilitated through the Free IMAN Health Clinic and Career Development Initiative and collectively enable IMAN to meet community needs while building lasting relationships. One of the most effective and successful services IMAN has offered the larger community has been through its free Health Clinic. IMAN’s Health Clinic has become a leading provider in the community that delivers no-cost primary health care and support services to the largely uninsured population of Chicago’s Southwest Side. Operating out of IMAN’s new Health Clinic and Administrative Center, the clinic is staffed by a full-time Medical Director, Health Clinic Administrator, Lab Technician and over 25 volunteer physicians, nurses and rotating medical students who give their time and heart to the clinic. You can learn more by visiting the website here. 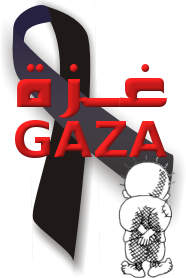 You can also make a donation at the website. 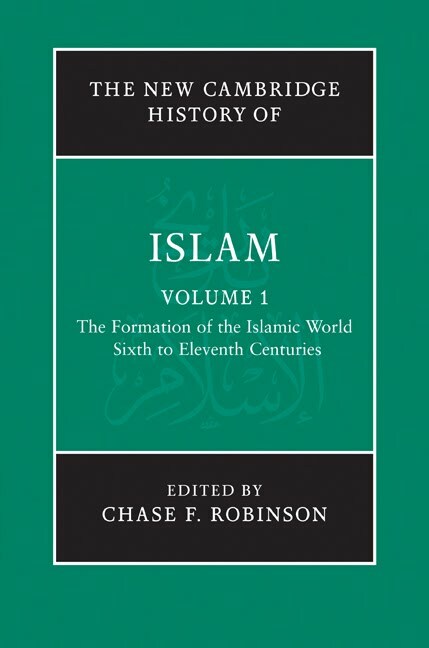 Cambridge has just published the "The New Cambridge History of Islam" in six volumes. 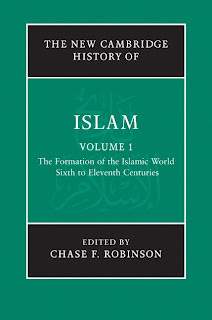 "...a work of breathtaking scholarship that does justice to one of the world's great religions"
"I have spent nearly a month reading these volumes, and have learned a huge amount – not least, from the final volume, about the background to the various forms of present-day “political Islam”. And I finish reading them impressed by two things: the way in which Islam itself has held together as a religion, stretched across multiple states and cultures with no Pope or hierarchical Church to maintain it; and the way in which this team of scholars has condensed so much learning, with such clarity, into a mere 4,929 pages." "You may wonder, why touch on an event over and done with? Muslim Response conceptualized during the furor of the “Everybody draw Prophet / Muhammed day” campaign. The fervour of the whole campaign left many bewildered, not completely sure why the Muslim population framed the event as “an attack” on an important personality of the faith. This video aims to bring clarity around the issue, giving you a crystal clear glimpse of the Muslim psyche, clarifying why this event was deciphered by Muslims as akin to being an attack on their identity. The purpose of this video is thus to aid as a deterrent for any future campaigns surrounding this topic." "I, the Sultan Khan the Conqueror, hereby declare the whole world that, The Bosnian Franciscans granted with this sultanate firman are under my protection. And I command that: No one shall disturb or give harm to these people and their churches! 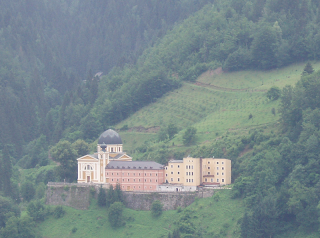 The original edict is still kept in the Franciscan Catholic Monastery in Fojnica and is one of the oldest documents on religious freedom. 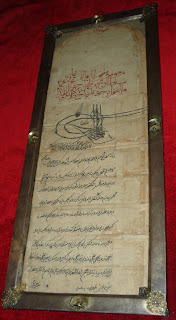 Mehmed II's oath was entered into force in the Ottoman Empire on. In 1971, the United Nations published a translation of the document in all the official U.N. languages. The website is here and the Youtube channel is here. 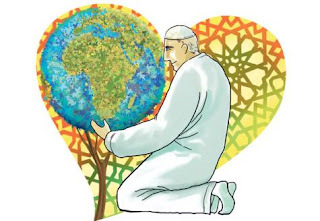 "Islam puts an emphasis on the environment like no other religion. It is not a foreign concept, a tree hugging fad or something to be done after we have acquired all other knowledge about Islam; it is an integral part of our deen. If we believe that everything belongs to Allah and that we are just transiting then we have to treat the earth as His amanah – a trust of which we are the guardians, the khalifahs. Abu Sa’id Khudri reported that Allah’s Messenger said: “The world is sweet and green and verily Allah is going to install you as vicegerent in it in order to see how you act.” (Muslim) Does this make you think? We have been placed on earth for the purpose of taking care of it. Dr. Soumaya Pernilla Ouis, a senior lecturer at Lund University, Sweden, coined the phrase Islamic ecocosmology. The idea is that nature in itself is Muslim; that we look around us and recognize every organism as our Muslim fellow being. That really changes the relationship, doesn’t it? We know that everything from thunder to ants hymn the glory of Allah, all beings therein, declare His glory; there is not a thing but celebrates his praise: and yet ye understand not how they declare His glory. 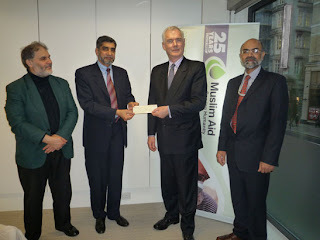 (17:44)"
Muslim Aid called on the Office of the Agent-General for Queensland, London, on 2 February 2010, and presented a £10,000 cheque to Mr Andrew Craig, Agent-General for Queensland, for the flood affected people in Australia, raised through its Global Emergency Appeal. "Mercy Mission Australia volunteers have released a video requesting financial, spiritual and physical support to their clean up work following Brisbane's recent flooding. The video shows young Muslim volunteers busily cooking food and packing supplies for those in need following the natural disaster recently. Mercy Mission are still recruiting volunteers to help support destroyed communities at the moment. Sheikh Taufique Choudhury reminds the audience that the Muslims have a duty to help everyone not just Muslims at times of distress."